The Enhance Companies has a highly trained team of fence installation experts, who will design and install fencing to meet your your specific needs. 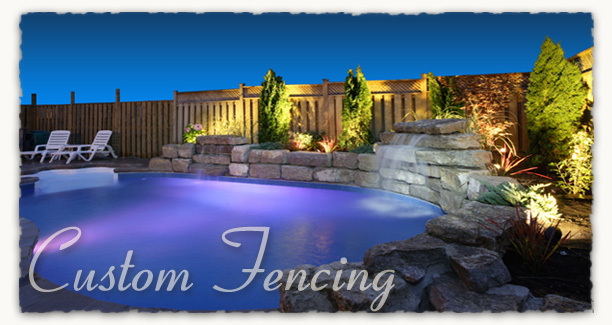 We offer a variety of fencing options including custom vinyl, aluminum, and wooden fencing as well as pool enclosures and specialty fence installation. We commit to our customers to always provide exceptional service ,competitive prices, and ensure timely installation. Our fence installation specialists are here to guide you through every step of the process. We work to make this process easy for our customers by providing all the essentials you may need to make sure the job is done right. Our experts will gladly provide any product recommendations, installation procedures, and post installation maintenance. Aluminum fencing is a great option for pool enclosures or yard enclosures and meets the requirements of most homeowners associations. Aluminum fencing is available in numerous styles and ornamental options. Standard aluminum fence colors include black and white. Vinyl fencing is very durable and will last for many years with little to no maintenance at all. Vinyl fence is available in many styles including ornamental, picket, rail ranch, privacy, and tongue & groove. Enjoy the security of your backyard with a wooden privacy fence. Stockade, board on board, and shadowdox privacy wood fencing is a great way to protect your property and elegantly define the boundaries of your backyard. We can build custom gates for any application as well as custom fence panels made from cypress, cedar, or pressure treated lumber. Lattice work can also be incorporated to your custom fencing project. The Enhance Companies specialize in the sales and installation of specialty fence and stone columns and caps. Elegant landscape lighting can be integrated into most custom stone columns to provide outdoor lighting along the perimeter. Specialty gates can be incorporated into most fence installations. Most gates can be motorized for convenient, automatic push button entry.